Our home in the country, Salubrious Basecamp as we affectionately call it, has seen a flurry of adventurous friends and family, hunters and non-hunters, visiting us the past couple of months, each of them wanting a chance to see what all the chukar hunting fuss is all about. We love that our visitors will take time out of their busy lives to make the drive. Our gracious guests, all of them, before arriving will always ask if we need any last minute food items from the city. They will come bearing new craft beers, pastries, breads, snacks, and even single malt whiskey from Taiwan (of all places), things we can’t buy in town at our local general store. We ask them to only bring themselves, but are very grateful of the gifts. In return, we’ll make some game bird-inspired dishes like prosciutto-wrapped grouse marsala or chukar nachos, and take them to some of our favorite public land hunting grounds and allow the ones that hunt the opportunity to shoot over our dogs. It’s not just anyone we’d trust with doing this. On this day of thanks-giving, I’m most grateful for our family, friends, and the good dogs that enrich our lives and the fond memories of hiking the chukar hills with them. Happy Thanksgiving to all of you and thank you for enriching our lives with sharing a glimpse into yours! Cheers!! Ryan, thank you for taking the time to look at my post and comment. Cheers to you too! Happy hunting. Guys, thanks for sharing. Happy Thanksgiving to the four of you. That Cody looks very similar to what I follow around on the hill. Larry, thanks for reading. We hope to have Cody follow us some more and learn a few things from Angus and Peat. Right now, he’s busy taking in all smells and not just bird scent but he’ll learn. Thank you Sam. Same to you. We can only dream of the chukar hills now as we are back in Canada and out of days to be S of the border for 2018. We all have much to be thankful for! Take care and thanks again for sharing, love the photos too. One of the many things for which I’m grateful is this blog. I enjoy reading the articles and looking at the photos and getting a brief, vicarious recharge from them. Thanks to both of you! Mark, Thank you. Bob and I appreciate your comment. 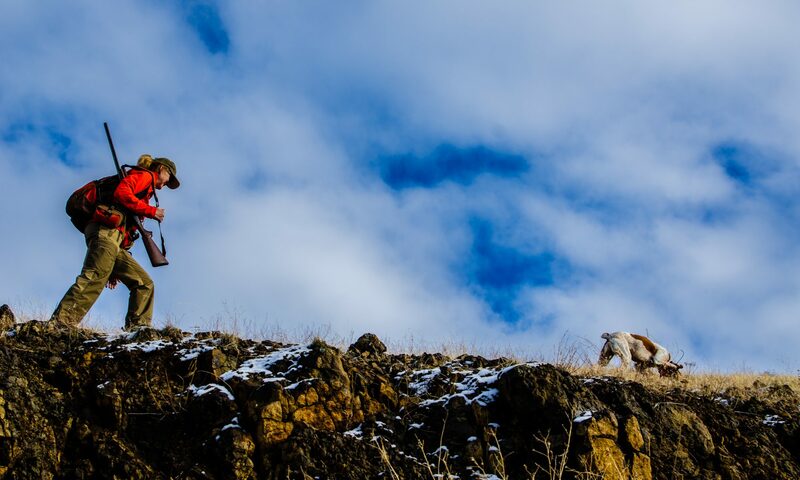 We promise to do better at getting more hunting reports and photos on this blog this season. Cheers!